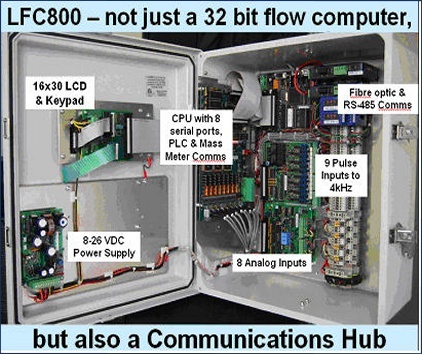 The DrSCADA LFC800 is both a 32 bit flow computer and a SCADA communications hub for native communication to local devices such as Modicon and Allen Bradley PLCs, tank gauging, densitometers, viscometers, coriolis meters and a ticket printer. One machine can handle up to 42 meters with 25 tickets each, and an audit trail. It supports local user logic and communication programming. PC software support includes upload, download, and debugging. 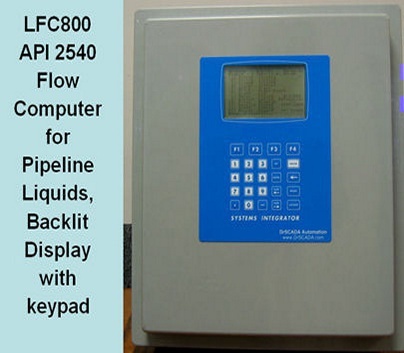 Our gas flow measurement firmware is integrated with our sucker rod pump controller.